Full Hearts Can’t Lose: Cheerleaders at Wayne Valley and Wayne Hills open their hearts to children battling cancer, at Christmastime | Mike Lamberti, From Margate To Cleveland, And Back ! Success has been the norm for the Wayne Valley cheerleading squad over the past few years. There have been multiple championships, on the national level at competitions, including the past three years. The team was invited to cheer at MetLife Stadium in 2018, prior to a New York Jets game. And the association between the Valley and Wayne Hills cheerleading squads included the teams coming together for a dinner leading up to the annual football game between the rivals last September. The Children’s Cancer Institute at Hackensack University Medical Center started an initiative to raise funds and awareness for pediatric cancer patients called Tackle Kids Cancer. Dedicated clinicians and researchers are making strides by advancing research and providing children access to the highest level of care, according to the Center. The upperclassmen of both squads delivered the gifts to the hospital on Dec. 21, for children who are undergoing treatment. Coffaro was proud of the team’s work and to help with giving to Hackensack. When Wayne Valley won a national cheerleading competition title in 2017, Coffaro noted that ‘full hearts can’t lose’, when it came to her team competing with class and intensity. 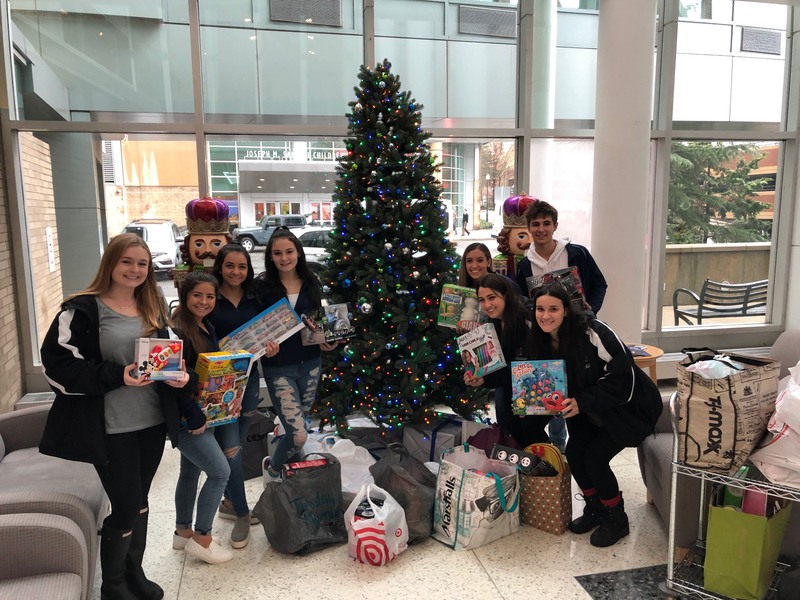 That same saying can easily be applied to the work of both the Wayne Valley and Wayne Hills cheerleaders, in giving back to those who can certainly use some joy during the holiday season.